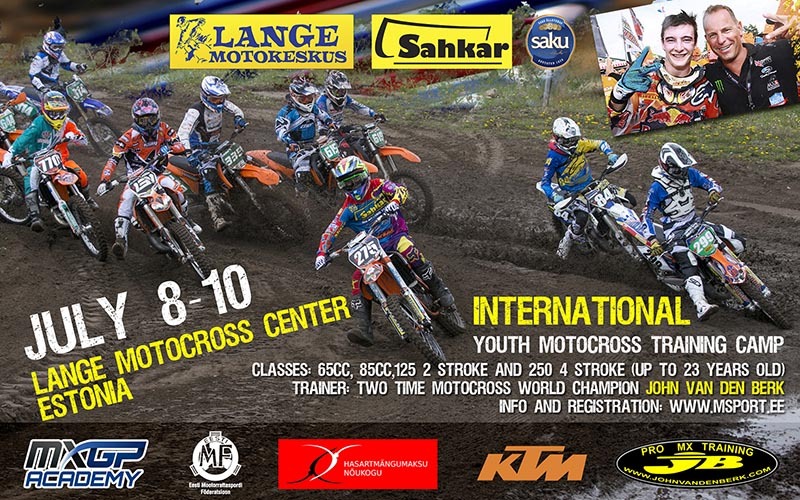 For the first time in Estonia, MXGP Academy International Youth Motocross Training Camp is organized on July 8-10, 2014. The trainer at the MXGP Academy camp is two-time motocross world champion John van den Berk from Belgium who has trained top riders like Kevin Strijbos, Dennis Verbruggen, Gert Krestinov and others. 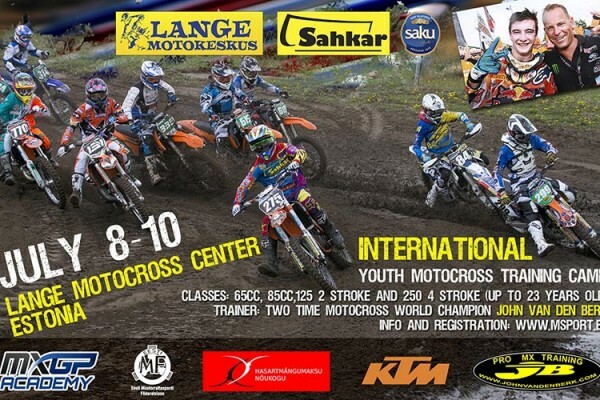 The MXGP Academy training camp is organized at the Lange Motocross Center, langemotokeskus.com, near Tartu. Participation fee for the camp is 230 Euros (this includes track fees, meals and drinks for the participant and one mechanic/parent, training sessions, timed practice service on Wednesday, medical service, preparation and service of the track). The cost also includes paddock services (electricity, water, WC, shower) at the Lange Motocross Center. The participation fee can be paid on-site in cash. 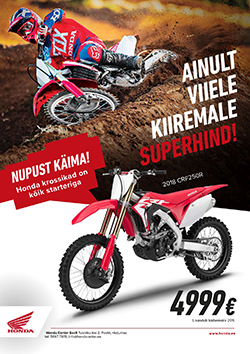 The riders of the classes 65cc, 85cc, 125 2-stroke and 250 4-stroke (up to 23 years old) can participate in the camp. MXGP Academy youth motocross training camp is organized by Tartu Motocross Club in co-operation with Youthstream, the Estonian Motorcycling Federation, the Council Of Gambling Tax, and others. More information about the trainer John van den Berk: johnvandenberk.com. Timetable of the camp. Limited number of participants. Pre-registration is compulsory at www.msport.ee and ends on July the 4th, 2014.